Commonly known as "edibles," and medical marijuana foods as "medibles," marijuana-laced foods is becoming big business in legal states. In states where medical marijuana is legal, the laws affect the availability of edibles and medibles, how they are dispensed, their potency, their safety, and their availability. Because THC (tetrahydrocannabinol) in marijuana is oil and fat soluble, when marijuana is cooked with butter or oil, the psychogenic properties of marijuana are extracted and can easily be added to a variety of foods as an alternate way of consuming the drug as opposed to smoking or "vaping" it. What Are the Medical Uses of Marijuana? What Does Marijuana Smell Like? According to Berkeley Patients Care, the effect from medibles are delayed. One can expect to feel effects from eating a pot-laced food product approximately forty minutes to an hour after consumption, so great care should be taken to not eat too much. However, potency in marijuana food products varies. The potency of commercial products are up for debate. The results of a Denver Post investigation into the potency of the claimed amount of THC in commercial products showed that many of the products had inconsistent amounts of THC. Some were over the stated amount, while others fell short of their claimed amount, some by as much as two-thirds. Marijuana has been a part of sacred celebrations in certain cultures and part of their medicinal practices. Throughout Northern India, people celebrate the Holi festival in celebration of Lord Shiva. For thousands of years, people from that region make several versions of drinks and foods that contain bhang, which is the word they use for a combination of three strains of marijuana. medibles are recommended over smoking, since smoking marijuana can aggravate asthma symptoms and also cause chronic bronchitis. Some foods are offered as a product for purchase in stores in legal states as well as on the Internet. Also, some foods are made with pot as a cultural tradition. Some of these products can even imitate well-known food products with a difference of a letter or two to denote the difference, such as "Krondike" or "Kif Kat." 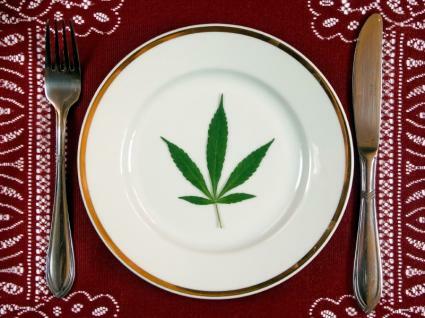 Many of the establishments that supplied their medical marijuana foods to the medical marijuana industry are offering their foods to the public for recreational use. These products are lab tested for the amount of the psychoactive ingredient, the THC, in the food product to ensure that the food contains the correct medicinal dosage. An example of food establishments selling marijuana food products is Julie and Kate Baked Goods, as the Denver Post describes. They sell food items such as granola, seeds and nuts, and butter cooked with marijuana to medical marijuana companies. Bakked Premium Medicated Products offers several versions of chocolate containing bhang, selling it online as a medicinal food. Another company that offers its medibles to the public is the Ganja Gourmet. They have both a store and a restaurant in Denver, Colorado. Medical marijuana is also available at places called dispensaries. This is also where medibles are sold. In some states, the growers make their own medibles and supply them to the dispensaries. For example, the Verdes Foundation grows their own marijuana, cooks their own medibles, and provides them to dispensaries in New Mexico. In California, medibles are dispensed through dispensaries, and the growth in the industry has gone wild since legalization, and is often cited alongside Colorado in terms of its availability and growth in the medical marijuana industry. However, local governments are cracking down, and some have even closed dispensaries in the interest of public safety. Some issues cited are the smell of the marijuana plants for places growing the plants and zoning issues, such as being too close to schools. USA Today relays concerns that not enough precautions are being taken with edibles to protect children. Since Colorado has legalized marijuana and edible foods have been offered, fourteen children have been treated in the ER for ingestion of marijuana-laced foods. The problem is that the foods are often appealing to children as well as adults, such as sodas, candy, cake, and brownies, and accidental ingestion from children has become more common. Before marijuana was legalized, there weren't any incidences of children ingesting marijuana. According to Food Safety News, regulation of the nation's food is usually a federal responsibility, yet the feds seem conspicuously absent on the regulation of food containing marijuana. Foods containing marijuana is a growing and booming business, and the number of people consuming marijuana through foods rather than through smoking or vaping is presently a significant portion of pot consumption. The Food Safety News states this is because, on the federal level, marijuana is still considered illegal. However, because of the 2013 Cole Memo, it was made clear that states are being left to regulate pot. This might seem like there is a gap in regulation, since the FDA usually regulates the nation's food. For example, Colorado has picked up the slack, creating a thorough regulation system while Washington's regulations aren't quite as clear. Nowhere is the demand for edibles and medibles more evident than in Colorado. This is due to unrestricted licensing, which has opened up all sorts of possibilities for different types of businesses offering pot along with their products and services. Colorado's state law to have all food products containing marijuana lab tested for safety went into effect in 2014. This should fix the inconsistency in the claimed THC in products versus the actual THC the products contain. Also, Colorado has instilled a system where they can trace the marijuana in food all the way back to the seed that grew it in case of an outbreak. The FDA Law Blog explains that Colorado's edibles must follow regulations that are similar for any food product in terms of labeling, expiration dates, and whether or not the products require refrigeration. While Colorado has elaborate regulations for food safety regulations, Washington State seems to lack the same system for food safety for medical marijuana and recreational marijuana in food. As The Seattle Times reported, the issue remains unclear. Washington State was one of the first states to approve medical marijuana along with Colorado. In Washington, medical marijuana in foods is not regulated because the state refers to the federal law, which states that it is illegal to put any type of marijuana in food. Some states completely inhibit the medible market from booming in their state, while others completely lack regulation. A lack of regulation might seem desirable. However, it can actually hurt sales of medibles in the long run. It is difficult for patients to have faith in medicine if the quality and amount of THC in the product is unreliable, so patients might opt to vape their medicine or learn to cook their edibles at home. Oregon: In Oregon, the sweet side of medibles could be a thing of the past. While the Oregon Health Department seems to be open for debate and suggestions on the subject, they will enforce a stipulation that prevents marijuana from being added to any foods that might appeal to children, including candies, brownies, and cake. This can cripple sales growth in medibles in Oregon. Arizona: In Arizona, the problem with edibles has to do with conflicting laws and local law enforcement. In older laws, taking extracts from marijuana is illegal. The new laws should have eradicated the old laws. However, without a provision specifically stating that the new laws should be taken over the old laws, it has left many law enforcers in the state confused on how to interpret the present stance on allowing medical marijuana to be used in food products. Edibles are a growing market. Already, according to Bloomberg, edibles are half of the marijuana market. Between edibles and vaporizing marijuana, smoking marijuana for medicinal purposes could become a thing of the past. Edibles, some fear, are a way for marijuana to become normalized into our American culture, stating that these products are nothing but a come-on to children and teenagers. On the other hand, some welcome the change and are even encouraging it. The News Tribune describes one woman who is trying to help introduce all the ways of consuming marijuana at events she holds, where people can smoke, vape, and consume edibles so it becomes culturally acceptable. With more states considering the legalization of medical marijuana and five more leaning toward legalizing it recreationally, it seems like marijuana and all its products, including food products, are here to stay. How this will impact society in general remains to be seen.